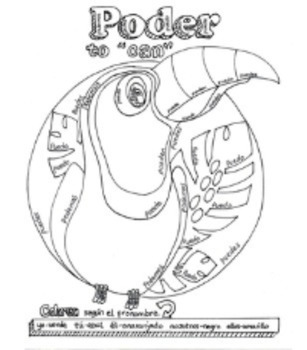 This hand-drawn coloring sheet gives students a fun visual for the verb meaning as well as practice identifying the stem-change conjugations of the verb poder. 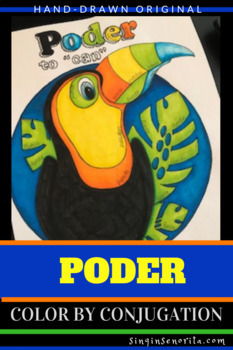 Instead of using "to be able to," the picture says to "can" to link the meaning to the picture of the toucan. Students will enjoy coloring each part of the picture according to the subject of the conjugated verb.